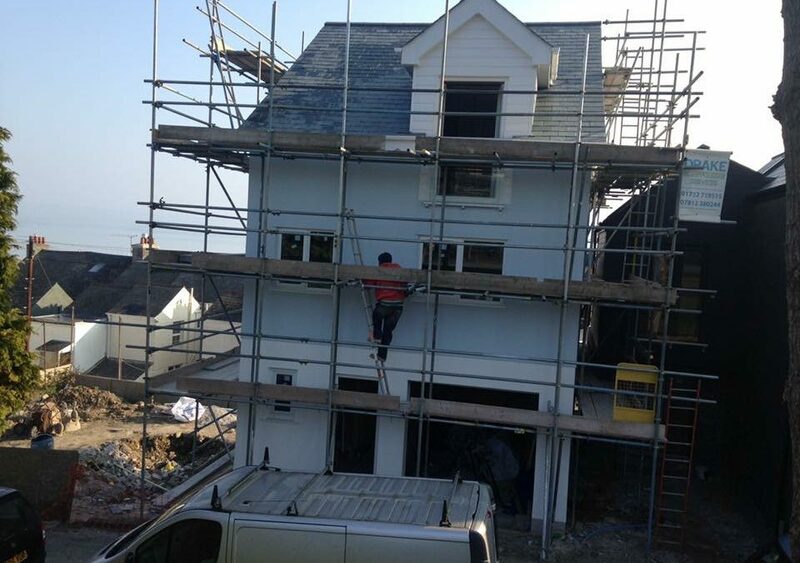 At Drake Scaffolding, we are commissioned to work on many projects, both commercial and domestic, including Plymouth scaffolding for housing developments. Across the South West, including Plymouth, Exeter and further afield we have worked with a number of developers on jobs large and small. Whether it’s a housing development of just a few houses or something of a considerable size, we are happy to help. The team at Drake Scaffolding have extensive experience when it comes to working with builders on new housing projects including standard housing developments to larger blocks of apartments. We are trained, experienced, insured and certified and are dedicated to providing a top quality service for every single one of our clients. In the first instance we discuss your requirements with the next step being to carry out a site survey and inspection. Of course, we understand that time is of the essence and often developers are on tight deadlines for the completion of the properties so we work quickly and efficiently to ensure that you can fulfil your deadline requirements. Our team are used to working on busy sites where there are other contractors working so we will endeavour to work around you and your other site contractors. If you would like to discuss our Plymouth scaffolding for housing developments with a view to having a site survey carried out then please get in touch and we will be happy to get the ball rolling. We can provide proof of insurance, references and examples of previous projects. In fact, if you want to see examples of some of our more recent projects then why not check out our news section. We look forward to working with you.